Operates with wireless 4Mbit/s bandwidth for true "lossless" digital audio. Enjoy audio on Xbox 360, PC and Mac. Communication only available on Xbox 360. Hear what matters, when it matters, get the competitive advantage. 50mm drivers and pre-set features provide a clean, detailed audio experience. Switch between 3 sound settings for gaming and entertainment. Easy dismantling into 4 separate pieces for easy and safe transportation. Separate audio controls for Xbox LIVE chat and in-game audio. The SteelSeries Spectrum 7xb combines advanced wireless technology with some of SteelSeries' signature features like interchangeable earcups, a retractable mic system and even 4 piece travel-friendly breakdown. We sprinkled in a few new special features that will take your Xbox 360 gameplay to an entirely new audio level. Wireless never looked (and sounded) so good. The rich and detailed sound that the Spectrum 7xb delivers is powered by 50mm drivers for a superior reproduced soundscape that delivers clear sounds from footsteps and grenade drops to team communication and a games soundtrack. Perfected for both Xbox 360 and PC gaming, the Spectrum 7xb was tested by professional gaming teams to achieve great sound for all ears. It's important to have options. The Spectrum 7xb is equipped with leather ear cushions that are interchangeable with cloth earcups that can easily be swapped out for a completely different audio experience. Regardless of what type of sound you prefer, both ear options surround the outside of the ear, making them comfortable to use. The cloth ear cushions are sold separately. The Spectrum 7xb operates with wireless 4Mbit/s bandwidth for true "lossless" digital audio. It was designed to avoid interference from other devices, using intelligent frequency hopping up to 344 times/second to offer crystal clear audio. The feature to disassemble the SteelSeries Spectrum 7xb into 4 pieces including at each earcup, headband, and the cord, makes it ideal to travel with. LiveMix: Improves the balance and mixing of Xbox LIVE™ chat and in-game audio, so that voice communication is mixed perfectly and is clearer than ever before over the sounds of gunfire and explosions, without having to increase the volume of the headset and risk hearing damage. ExactSND: Provides pre-set equalizer settings that can be quickly switched between to improve directional sounds, environmental sound, and entertainment. The Spectrum 7xb is specifically designed for Xbox 360 game play. Its full roster of communication features including the unidirectional microphone, independent volume controls and LiveMix™ are fully supported when using your Xbox 360. 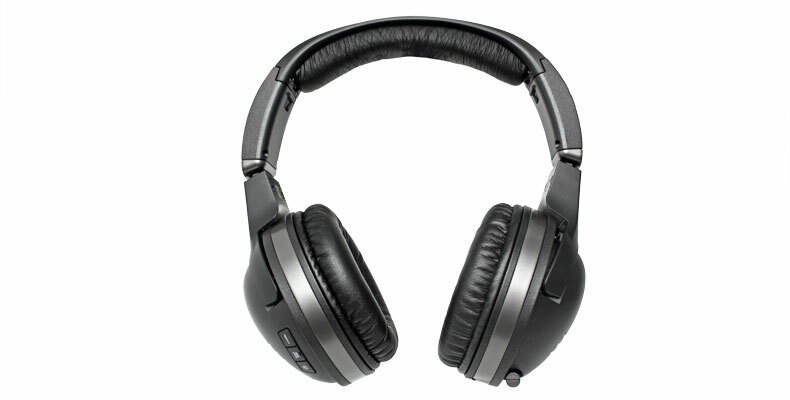 Though it's designed as a Xbox-specific headset, the 7xb can also operate as a headphone (meaning audio in only) with your PC, Mac®, and any system that can connect through the RCA /USB cables on the wireless transmitter. The uni-directional microphone is only compatible with Xbox 360® and can be retracted and hidden in the left ear cup. This signature and durable SteelSeries headset feature allows users to operate the headset in any type of environment, whether in your own home or out in public. The easy and safe mic storage makes travel to tournaments or to a friend's house worry-free. Operating up to 9 meters (32 ft.) away, the Spectrum Xbox 360 transmitter connects the headset to your Xbox. The headset features a smart LED to notify when the headset is connected. After prolonged inactivity (approx. 5 minutes) the SteelSeries 7xb will automatically shut down ensuring that you get the most out of your 20+ hours of battery juice from the two AAA batteries powering the headset. Now, because gaming is usually more fun when you play with others, you can connect up to 4 SteelSeries Spectrum headsets to your TV/Xbox 360 at a time. SteelSeries LiveMix allows you to hear everything that matters in team-based games; you simply click one button to activate this feature. We will balance the levels between Xbox LIVE® chat and in-game audio on-the-fly, as the game develops around you, making it easier than ever before for you to hear your teammates. We like giving people options. The ExactSND button allows you to switch between 3 settings that have been preconfigured for three very different uses. Choose your own adventure.